- Encourage and give priority to GEF climate change mitigation projects that reduce both long-term and short-term climate forcers and provide other socioeconomic benefits. - Emphasize the importance of financing integrated BC-reducing transformative solutions that include monitoring and assessment, technology transfer, policy and regulatory support, capacity building and awareness raising among countries and cities that are major BC emitters. - Introduce reporting on near-term climate mitigation impacts from BC emissions for the UNFCCC, in GEF-6 projects and tracking tools; and support global efforts to develop indicators and methodologies for BC emission reduction facilitated by the Climate and Clean Air Coalition. - Enhance and scale up collaboration between GEF stakeholders and organizations such as Climate and Clean Air Coalition and Global Alliance for Clean Cook-stoves to effectively coordinate implementation and knowledge management between GEF projects and programs and ongoing international efforts. The STAP Advisory document can be downloaded here: Sims, R., V. Gorsevski and S. Anenberg (2015). 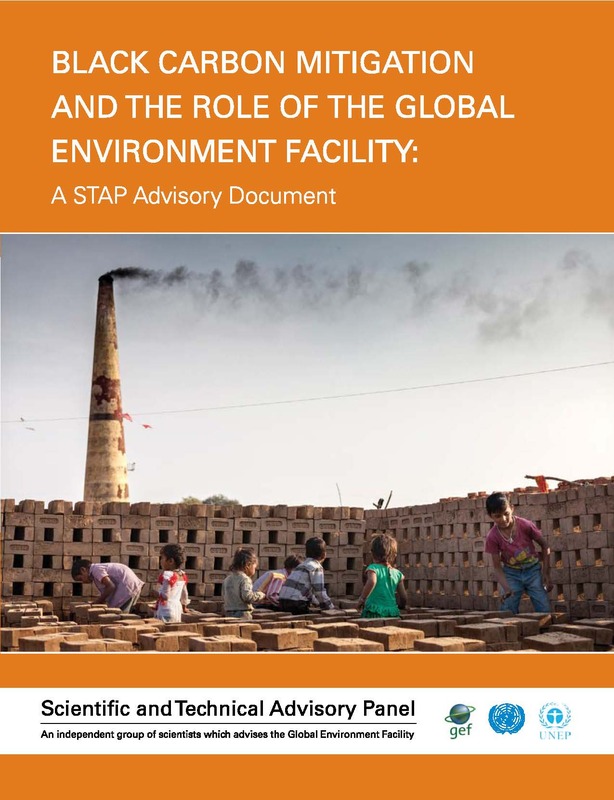 Black Carbon Mitigation and the Role of the Global Environment Facility: A STAP Advisory Document. Global Environment Facility, Washington, D.C.